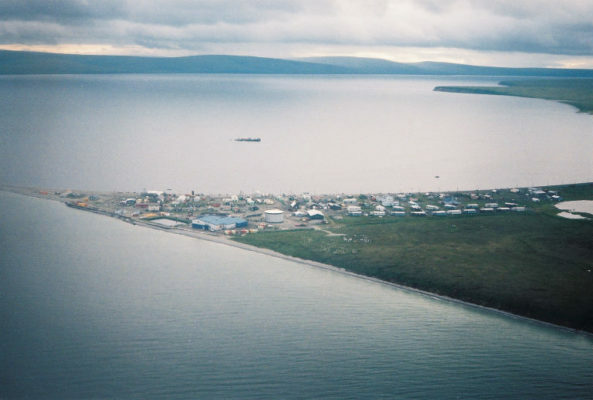 The electric utility for Teller and nearby Brevig Mission, Alaska Village Electric Cooperative, initiated a wind resource study in Teller in 2009 to identify a suitable site for wind turbines to supply Teller with wind energy. This initial effort focused on identifying a met tower site near Teller as project development construction costs would be relatively low and a project was presumed to be modest. After installation of the met tower, AVEC began planning a transmission intertie to link Teller to Brevig Mission across the bay to the north. After the intertie planning work, wind data collected from the met tower indicated a lower-than-desired wind resource. Because an intertie with Brevig Mission would enable a larger wind power project, a site with a more robust wind resource was sought. A second met was installed south of the Teller airport in 2012 and was operational for over two years.